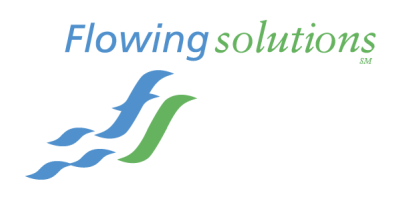 Flowing Solutions, a multi-disciplinary consulting firm, specializes in stream and river restoration, public waterfront parks, waterfront planning, permitting and design, as well as manufacturing process development, layout and design, and supplier management consulting. This unique combination of skills and expertise allow the development of creative solutions to challenging problems. Our strengths are founded in creativity and unique approaches to problem solving. Every project in engineering is unique, with a unique set of circumstances; thus successful solutions must also be unique. Our goal is to develop a loyal client base by serving as their trusted advisor and valued resource. By being creative problem solvers and providing solutions to problems, we achieve this goal. A majority of our work is from satisfied repeat clients and glowing referrals from satisfied clients.